Tan Sri P. Alagendra from small town Kajang rose to great heights in his career in the Police, as a sportsman and administrator in hockey and as a public figure. However, he never strayed away from his desire as a youth to serve the public despite his high ranking positions. 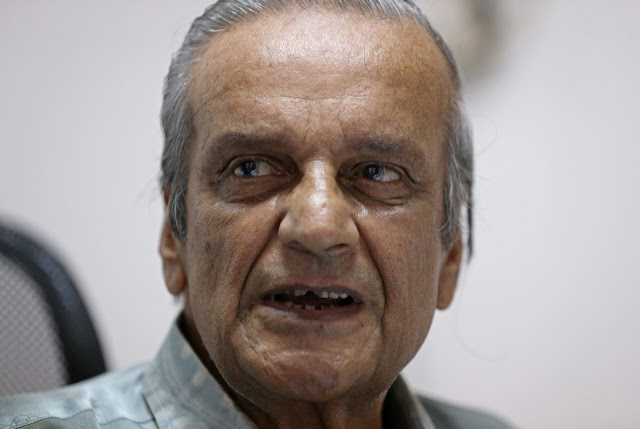 Hardly anyone has anything bad to say about Aly as he his nicknamed, but the elder statesman who turned 85 last month on 23rd, has had his fair share of detractors but mainly because of envy. 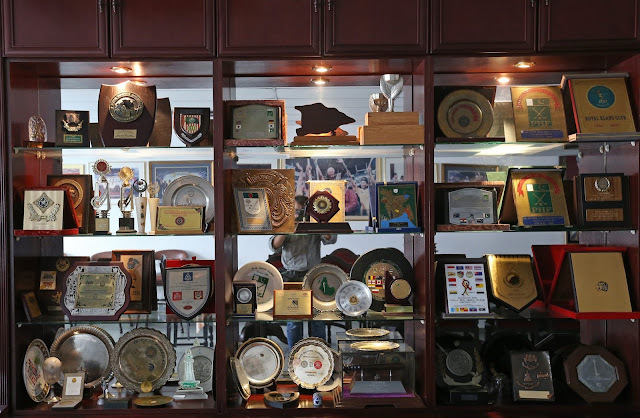 But Aly never pays attention to his critics as he allows his action to speak for itself and deeds he has done for various sectors which supersedes the accolades he has received for his tireless contributions. Sometimes life is cruel, where all the good deeds done over 50 years long are all instantly forgotten. At the tailed end of his hockey administrative duties, he came in for a lot pressure to relinquish his position as he was regarded jaded, saturated of ideas and imperially set in his ways that he no longer was open to new ideas and inventive thinking. But whatever said of Aly, there will probably never another person like him and given so much contribution to the sports and public at large. Aly who spent his teenage years under the Japanese Occupation, had to work for what he wanted to achieve in his life. 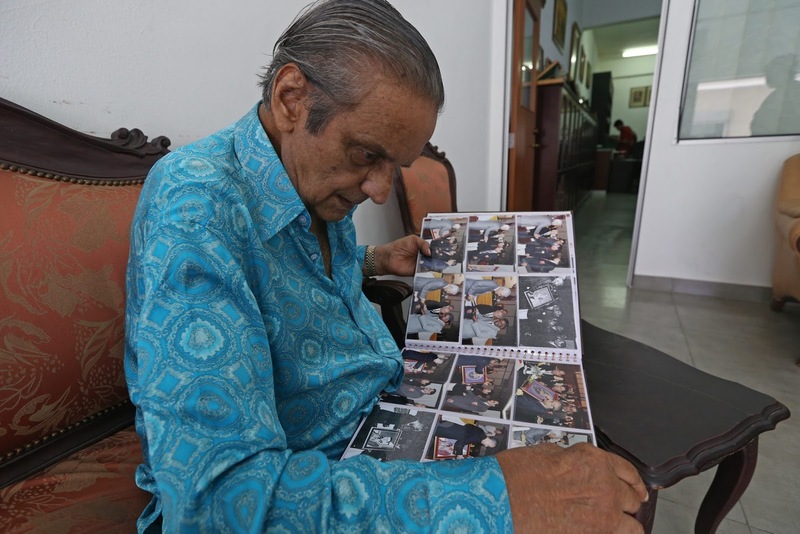 The son of school teacher, K. Ponnudurai, who ended his career as a headmaster, lost his mother when he was only four, the third in family of two boys and two girls grew as independent child, which built his character. “I have never hurt anyone. I am passionate of my job and sports. Whatever, I did, I did it to the best of my ability and in the best interest of the job or sports,” said Aly in relating his life story. Aly’s life is a colourful story if everything is to be told, it would probably take volumes of books to record everything. Every incident in his life has a story behind it and it was it gets even more interesting with each one he has to tell that one can go on talking to him for hours and not get bored. However, several incidents in his life is well remembered by him as it virtually charted his life path. 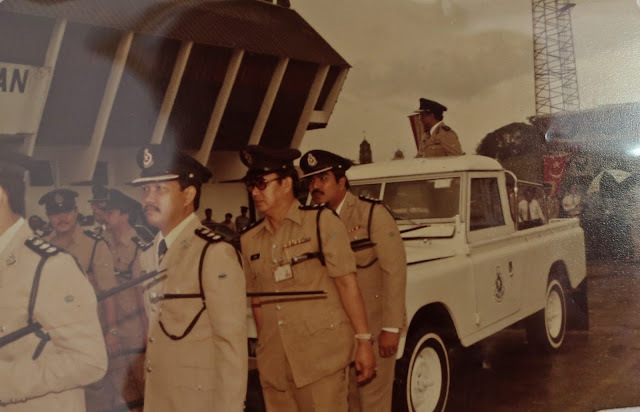 Aly joined the Police Force against the wished of his father as probationary inspector in July 1950 and retired as a Deputy Commissioner of Police 34 years later in 1984 as Chief Police Officer (CPO) of Selangor. He has held various post from Director Staff at the Police Training School, Assistant OCPD Malacca, Circle Crime Officer, Province Wellesley in Penang, OCPD Klang and Director of Training Branch of Federal Police Headquarters in Kuala Lumpur to name a few. Sports was natural to Aly for as a schoolboy he played football, rugby and cricket before settling for hockey and played hockey and cricket for five states as his police job saw him move from state to state. “The best thing that happened to me for hockey was when I was transferred from Johor to Selangor in 1956 by then CPO of Johor Claude Fenner who later became IGP. “I had just returned from London after attending a course and was posted to Johor. As hockey was not popular in Johor, I used travel to Singapore together with Abdul Karim the then director of Immigration and Steven Murugesan who worked with Telecoms,” recalled Aly while attending the Hendon police college in Middlesex in England he was awarded the Baton of Honour for the most outstanding student which no Malaysian has ever won after that. “I had brought back a MG Magnet from England and it in that car I travelled to Singapore. One evening we were running and there was this Volkwagen (VW) in front of us who was slowing us down. I finally over took him the wrong side and sped away. Before I realised, the VW over took me and stood right in front of me. As I spotted and got out, it was my boss Fenner. I had a lot of explaining to do and when I told him I was going for a hockey game, he just told me to carry on and see him the next morning in his office,” said Aly whose ambition was to make the national hockey squad for the 1956 Melbourne Olympics in Malaysia’s debut appearance at the Olympics. “When I reported to Fenner next morning, he expressed his disappointment with my driving attitude and ticked me off. Then he asked me if I was interested to be transferred to KL so that I can play hockey. 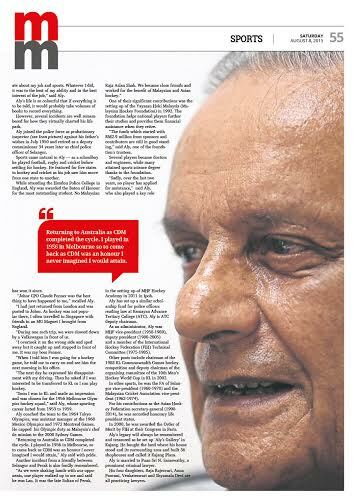 The next thing knew I was in Kuala Lumpur playing hockey and impressed enough to make which saw me make the Melbourne Olympics squad,” said Aly who playing career lasted from 1953 to 1959. Aly subsequently coached the team to the Tokyo 1964 Olympics, assistant manager to the Mexico Olympics in 1968 and Montreal Olympics in 1972, was the judge at the 1982 Barcelona and 1990 Korea Olympics before capping his Olympics outing as the Chef-de-Mission of the Malaysian contingent for the 2000 Sydney Olympics. “Returning to Australia as the chef-de-mission was a complete who cycle of hockey for me. I played in the 1956 Melbourne Olympics and after attending the Olympics is different capacity, to return for the Olympics in Australia again as the Chef-de-mission is an honour I never imagined I will attain,” said the proud Aly. Aly said that other incident which has charted his involvement in hockey was when he was playing a friendly match turning out for Selangor against Perak. One significant contribution was the setting up of the the Yayasan Hoki Malaysia (Malaysian Hockey Foundation) in 1992. The foundation helps national players to further their studies, and provides them financial assistance, depending on the number of caps when they retire. “The funds which started with RM2.9 million from sponsors and contributors, despite having given out many scholarships which need not be paid back, is still in good standing. In fact it has more funds then when we started,” said Aly who is one of the trustees of the foundation. Several players became professionals, such as doctors and engineers, while many attained the sports science degree certificate with the help of the YHM, which also gives out medical benefits and other forms of aid to players facing financial difficulty after they were no longer playing with the national team. “However sadly over the last two years, no player be it junior or senior has applied for assistance to continue their studies,” revealed Aly who also played a key role in setting up the MHF Hockey Academy in 2011 in Ipoh. Aly has set up a similar scholarship fund for students of at Kemayan Advance Tertiary College (ATC) for law studies for police officers and also students who want to pursue their law degree at ATC. Aly is the deputy chairman of ATC. Aly is actively involved in charity work too especially in helping the Indian community. As an administrator, Aly was the vice-president of the then Malaysian Hockey Federation from 1958 to 1980, deputy president of MHF from 1980 to 2005. He was also a member of the International Hockey Federation (FIH) Technical Committee from 1975-1985. Other organisational post he held in hockey include chairman of organising committee of international tournaments held in Malaysia (1981- 2005); chairman of 1988 KL Commonwealth Games hockey competition, and deputy chairman of the organising committee of the 10th Men’s World Cup in KL in 2002. 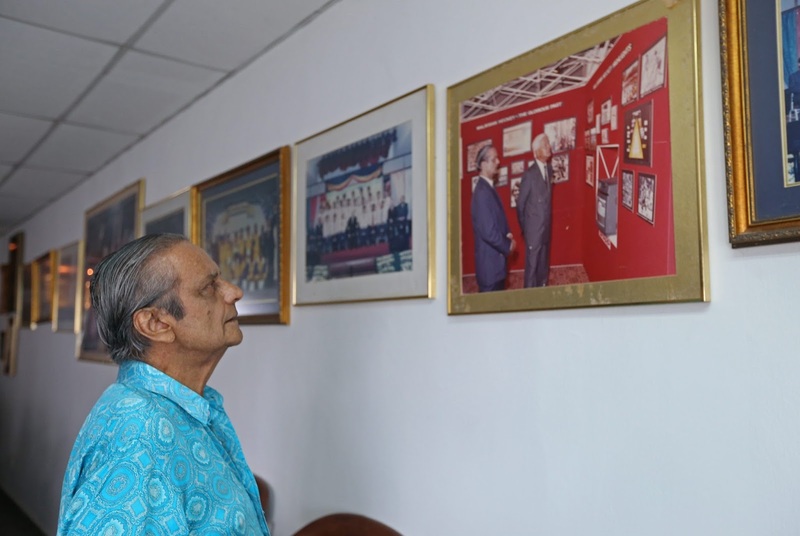 Aly was also involved in other sports like football and cricket where he was the vice-president of FA of Selangor from 1960-1970 and vice-president of the Malaysian Cricket Association from 1962-1974. He was the deputy –president of the Malaysian Government Service Welfare and Recreational Council from 1960 to 1974. Aly was also the secretary-general of the Asian Hockey Federation (AHF) from 1990 to 2014. For his contributions he was accorded the honorary life president of AHF status. In 2000, he was awarded the Order of Merit by the International Hockey Federation at it Congress in Paris. 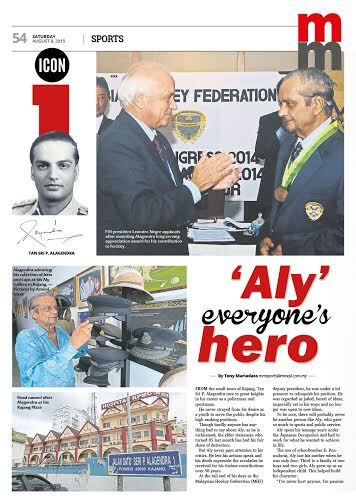 Aly’s legacy will always be remembered and treasured as he set up the ‘Aly’s Gallery’ in Kajang at the same place he was born. 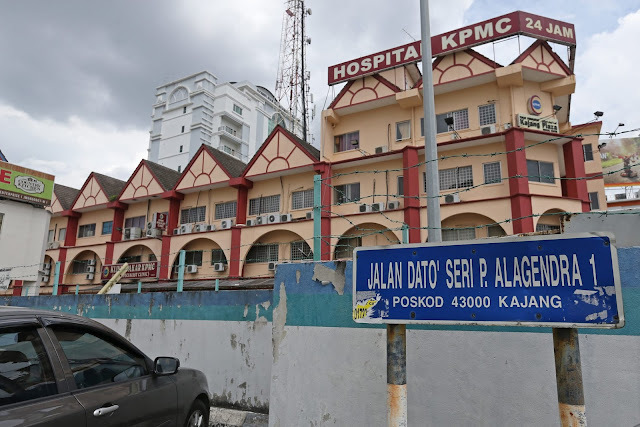 Aly bought the land where his house stood and surrounding area and built 36 shop houses which is called the Kajang Plaza. He even has the road at the Plaze named after him. Aly is married to Puan Sri N. Saraswathy, a prominent criminal lawyer who is presently the Parliamentarian of the International Federation of Women Lawyers, and his four daughters, Raja Rajesvari, Anna Poorani, Venkateswari and Shyamala Devi are all practicing lawyers.